Get a FREE Inspection! Call (480) 857-7376 or drop us a note below and we’ll get back to you. 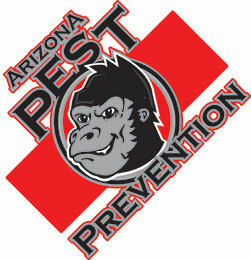 Arizona Pest Prevention Inc. specializes in providing the most effective pest prevention services for Roof Rats, Roaches, Ants, Scorpions, Spiders, Fleas, Ticks, Pigeons, Gophers and Termites. By utilizing state of the art pest control techniques, APPI has satisfied thousands of residential and commercial clients – and we would like to include you. With over 75 years of industry experience we are well-trained and ready to serve you. Your complete satisfaction is our primary goal. Please feel free to call and learn more about the products and services which create pest-free environments for our customers, and information you need to live in a pest-free environment.